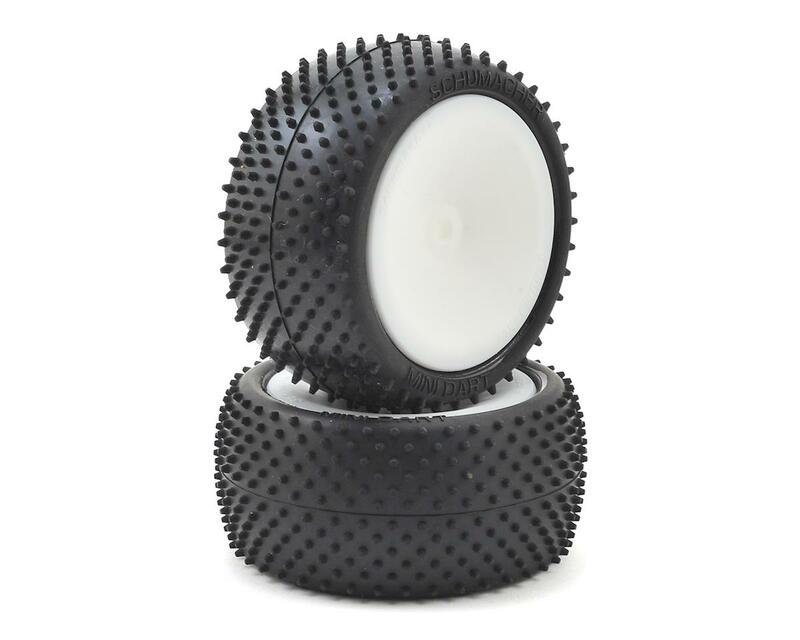 This is a pair of Schumacher "Mini Dart" 2.2" Pre-Mounted Rear Buggy Carpet Tires in Yellow compound, glued to white dish wheels with 12mm hexes. 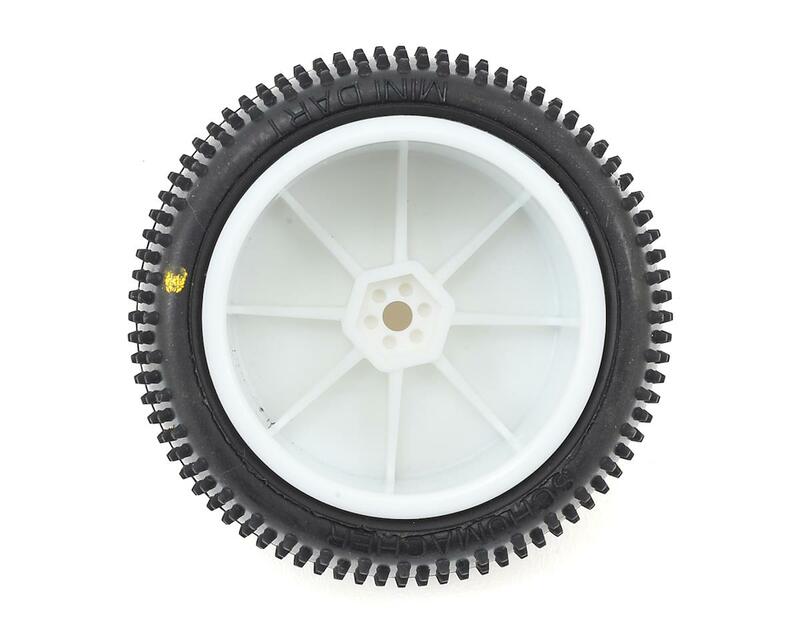 The Mini Dart was developed as a low profile turf tire that provides improved bump handling and reduced traction roll on high grip astro and carpet tracks. Midway between a mini pin and mini spike, the Mini Dart is BRCA legal width with less side overhang, and extremely versatile. 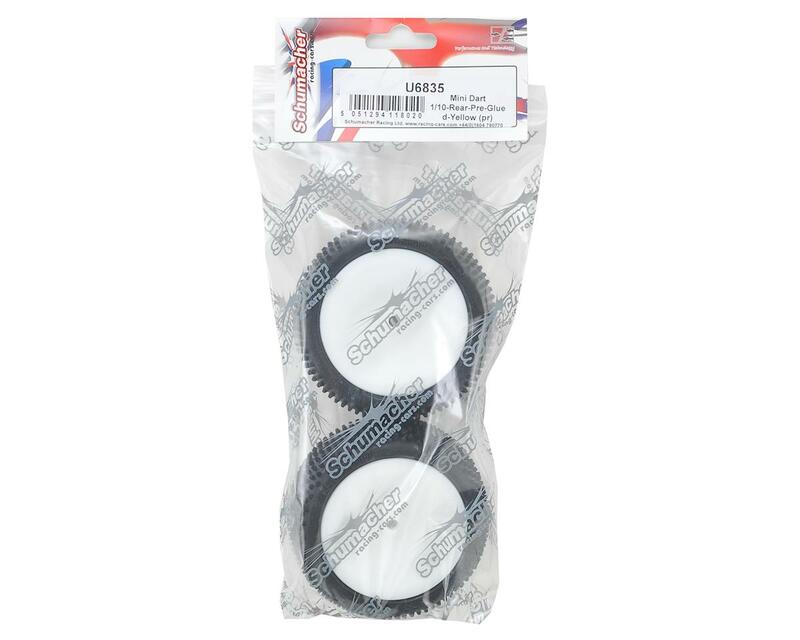 The high performance and long life make it a great option for control tire racing.